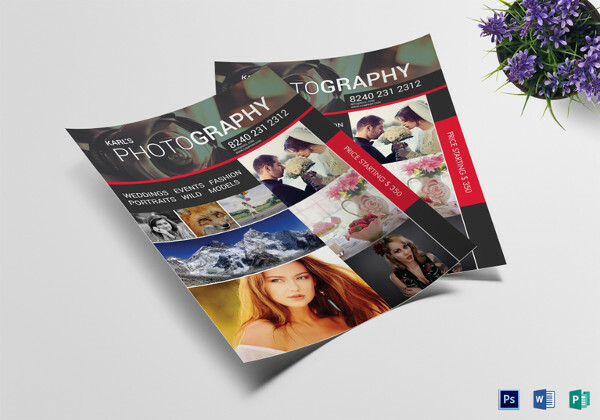 Flyers are a smart way to advertise information about your photography work for events like fundraisers and photography exhibitions. 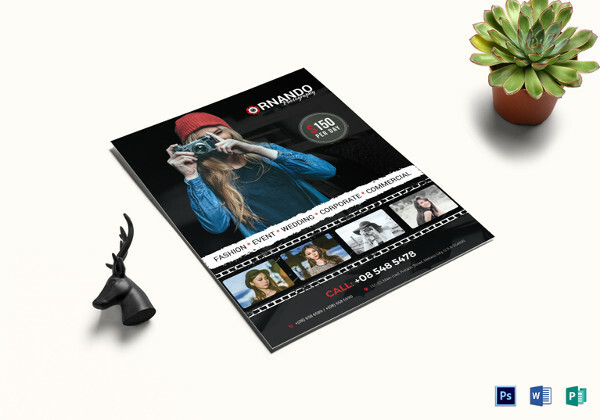 You can use your imagination and improvise the existing design of a flyer. 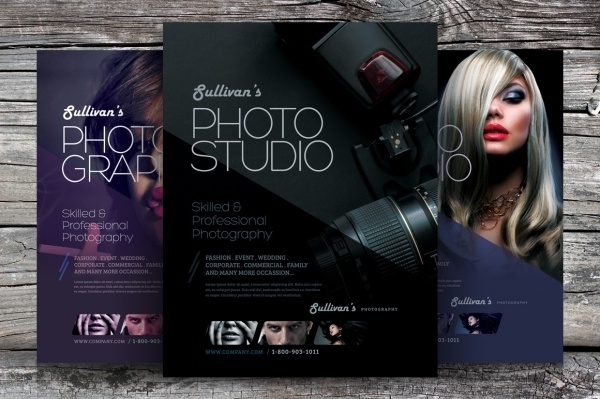 There are several impressive flyer designs in PSD format on the internet. 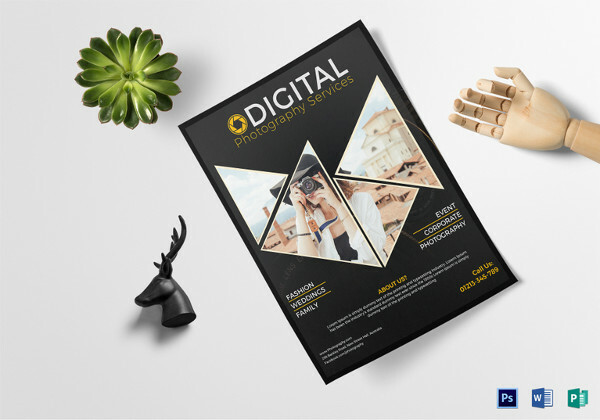 These layouts are easy to download and edit in Photoshop and allow making changes to all the design elements. 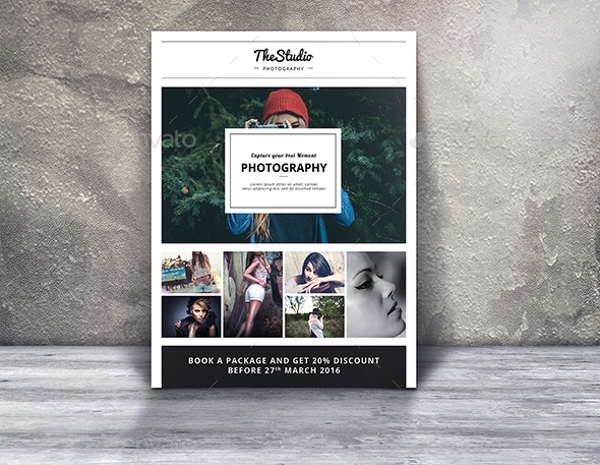 You can add glossy images, use high-quality images or edit the orientation of the flyer. 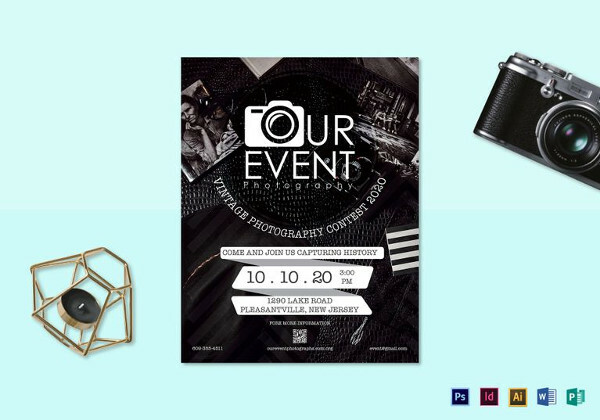 You can also see Flyer Mockup PSD Free. 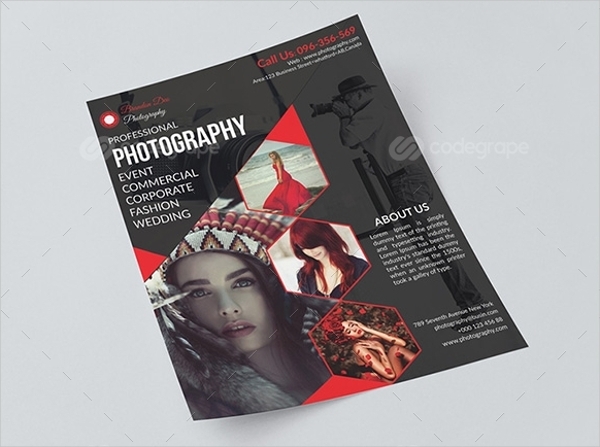 This flyer template has a lot of pockets dedicated to your clicked photographs. 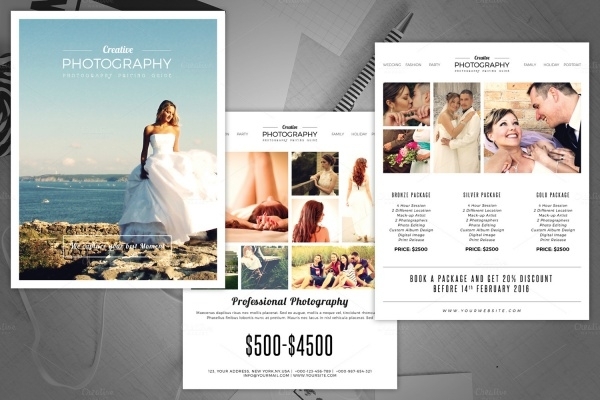 You can use this flyer to promote your photography business and impress your clients. 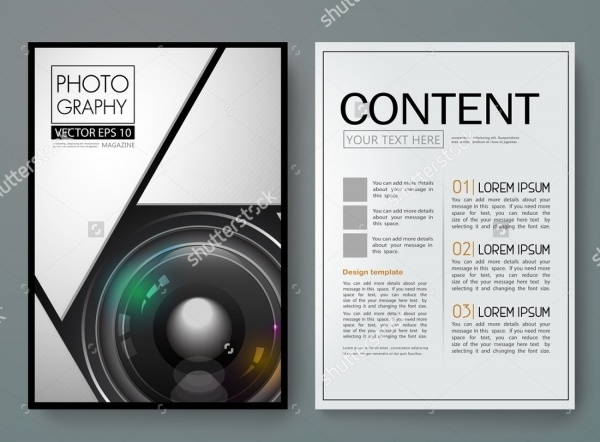 This template can be easily downloaded and since it is free you can make most of it. You can also see Bakery Flyers. 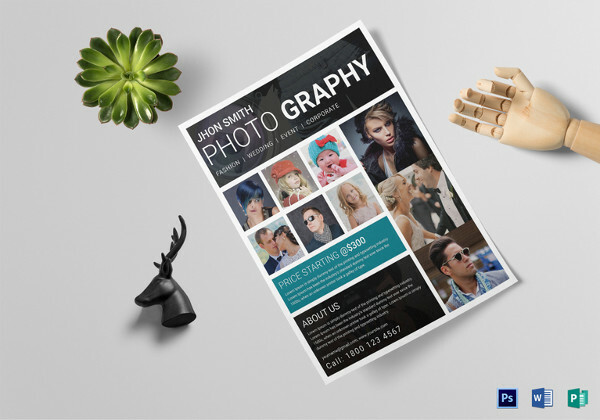 This high-resolution photography flyer has a modern and contemporary design which makes it stand out. 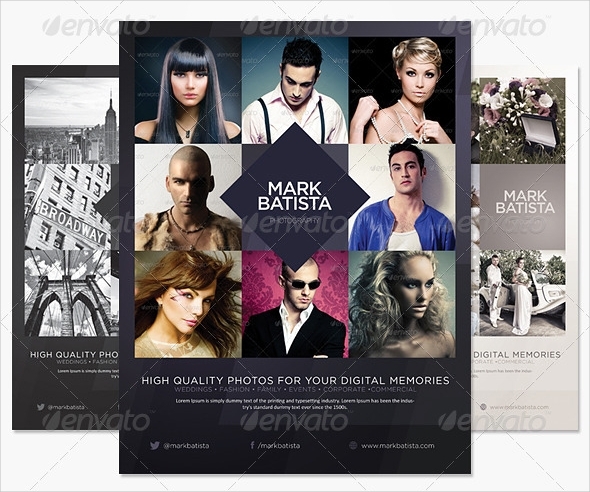 The texture and frame of this template are very creative and you can use different layouts to create your flyer. You can also see Night Flyers. 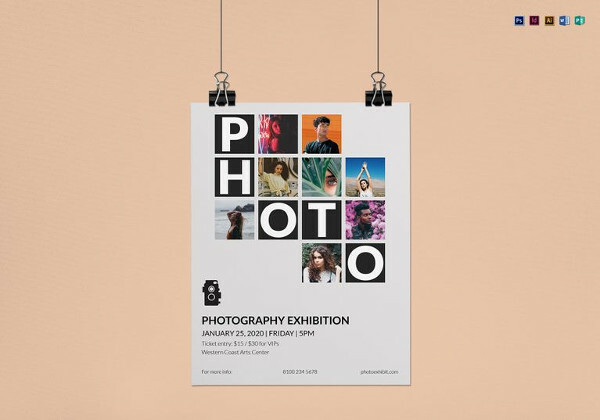 This photography template looks professional and perfect for designers working on photography projects. 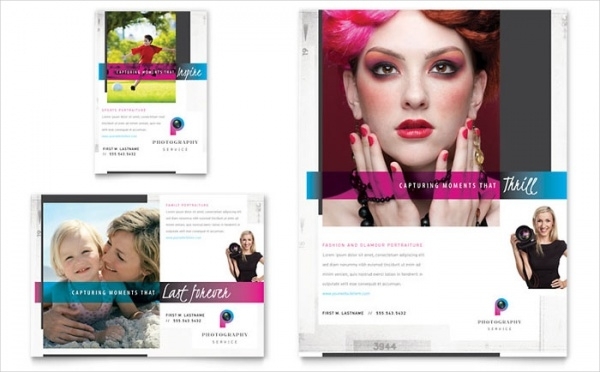 The layout and style of the template are impressive. 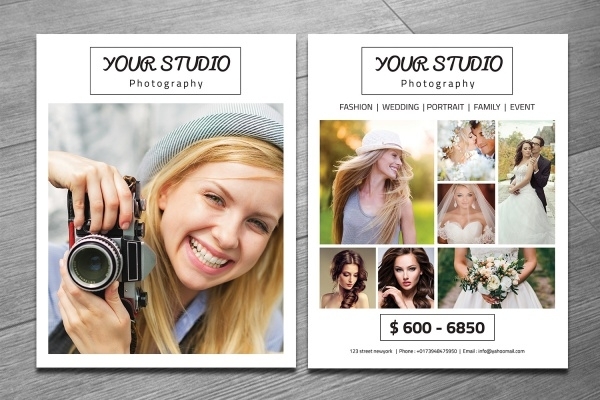 You can use this flyer to advertise your photography business. 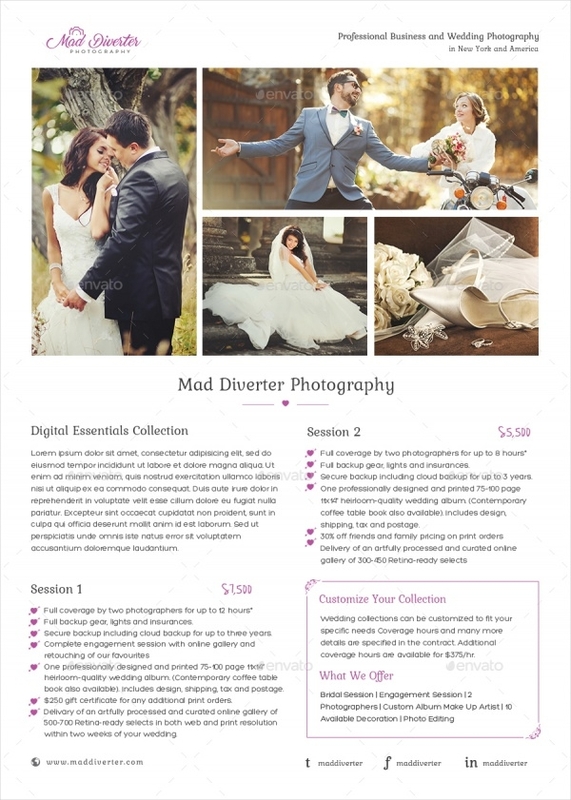 If you are looking for a flyer dedicated to wedding photography then this flyer is the best choice. 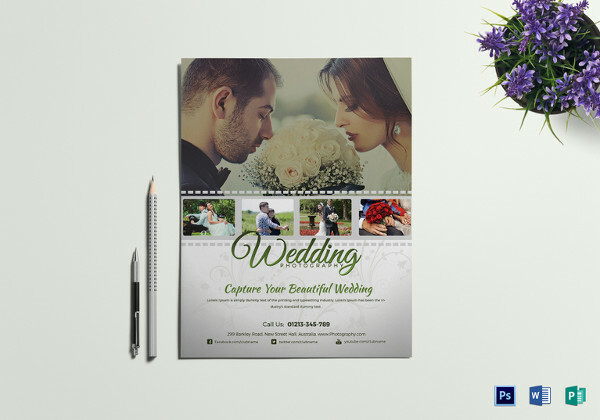 It has pictures of couples and the font style is also suitable for wedding material. 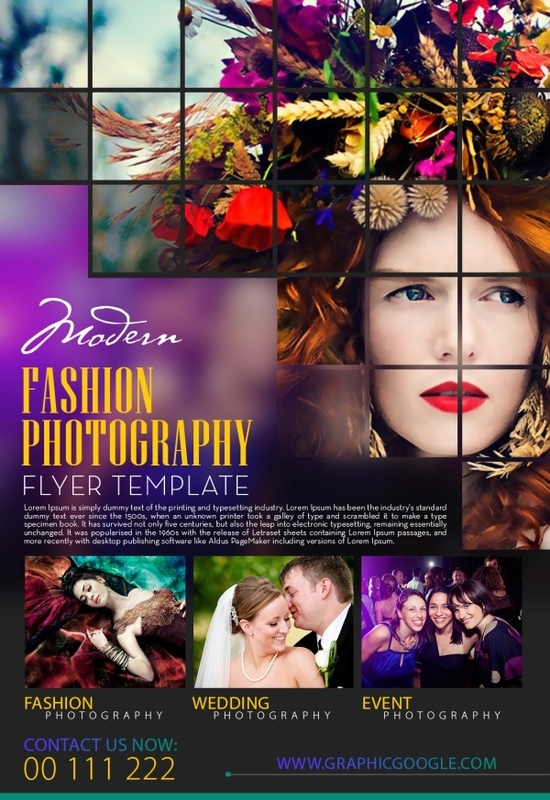 You can download this stunning template and customize it. 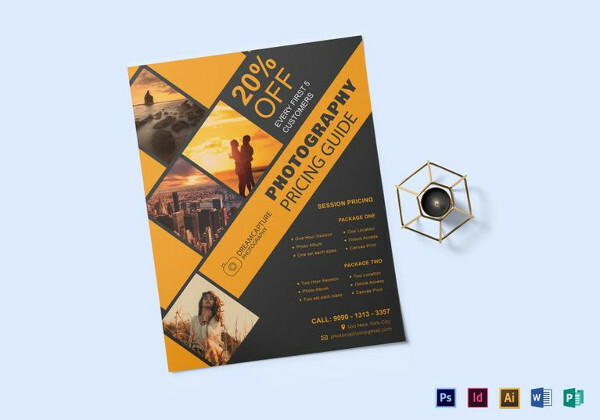 This flyer can be used in many professional photography flyers as the design is very generic. 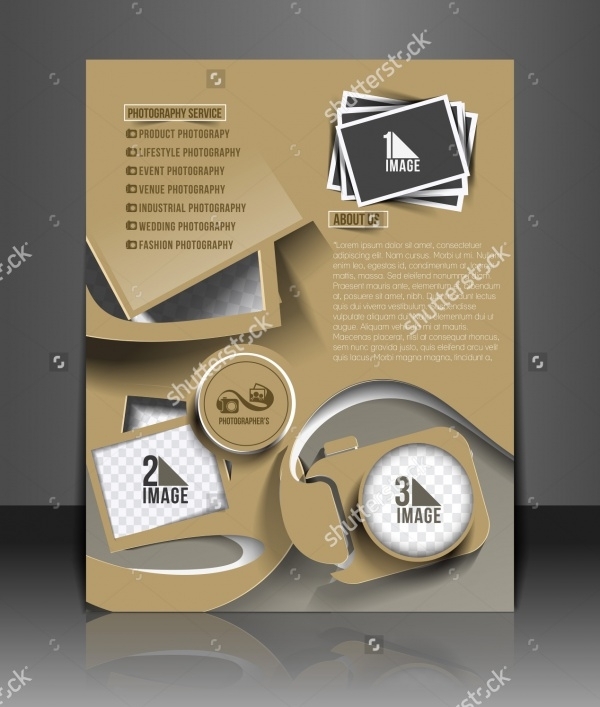 You can edit and customize this template as per your individual need. This template has a minimalist and simple design that looks very elegant. 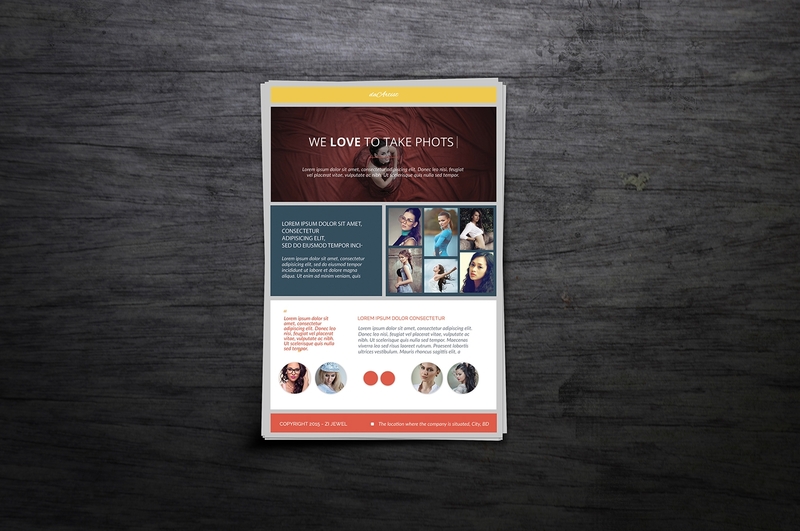 It features a camera lens and has ample space for your content. 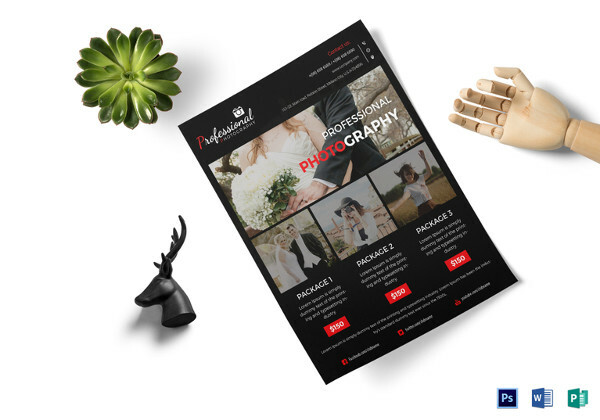 If you are looking to design a pricing template for your photography template then this layout will be of great use to you. 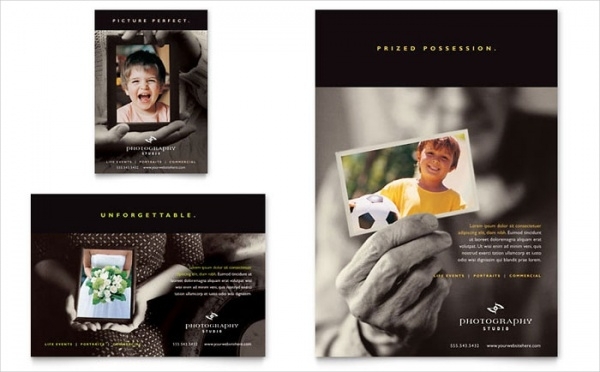 This design can be customized and easily printed which makes your job even easier. 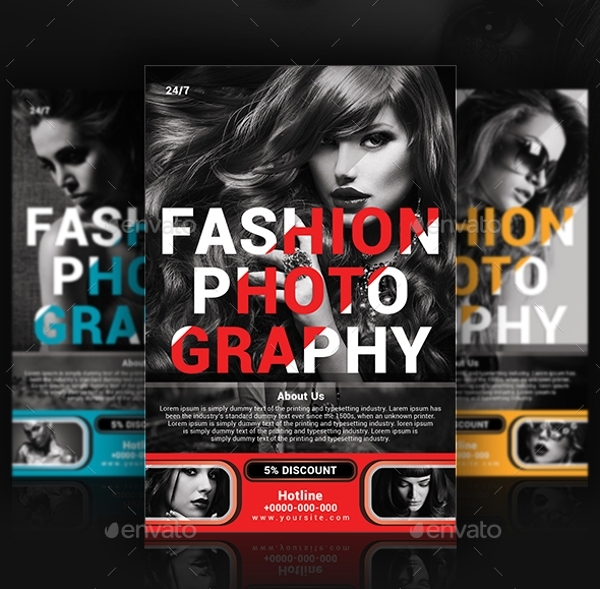 You can edit the pictures, the font, and the content and make it ready for your professional use. 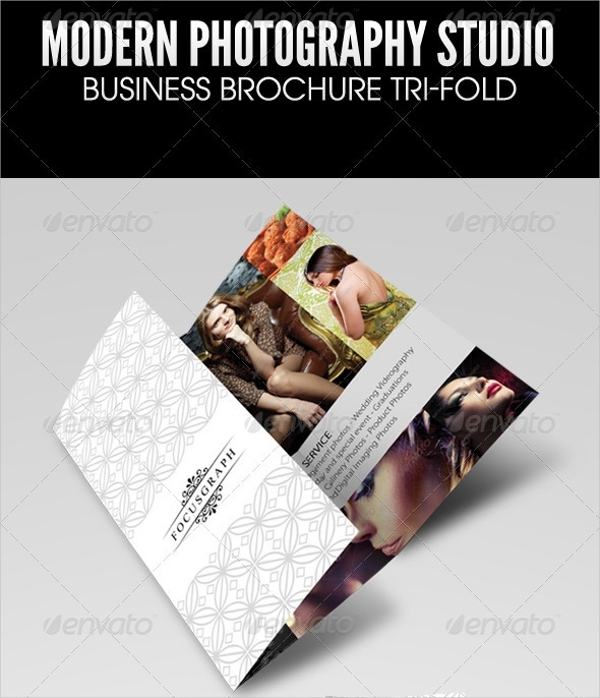 This wonderful photography studio flyer comes in high resolution and can be easily downloaded. Its availability in different sizes is another plus. 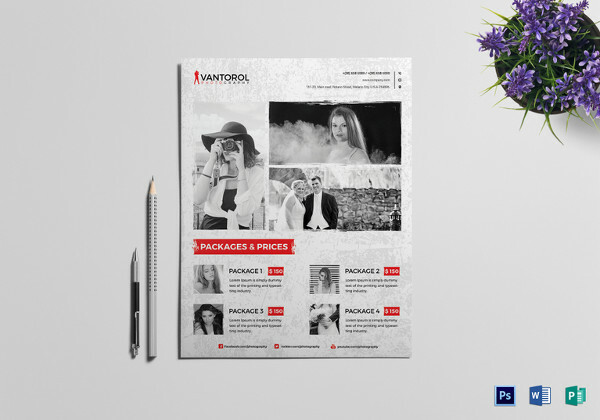 This flyer features a simple design with a monochrome pattern that you can use if you wish for a minimal layout. 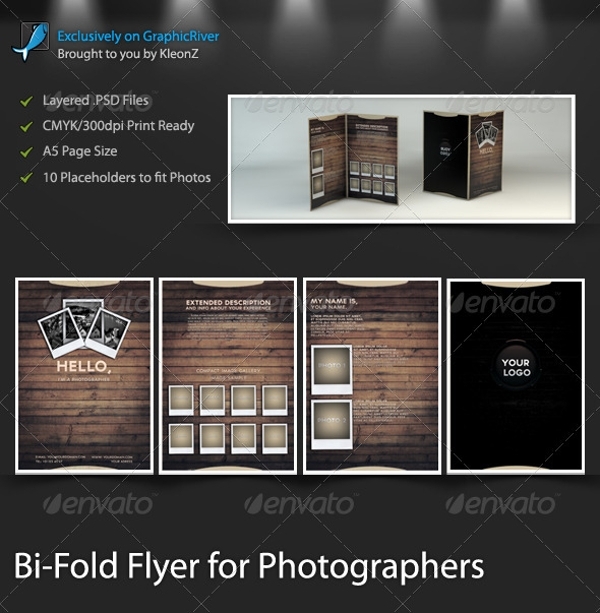 Bi-fold flyers are attractive and have a compact design which makes them perfect as hand-outs. 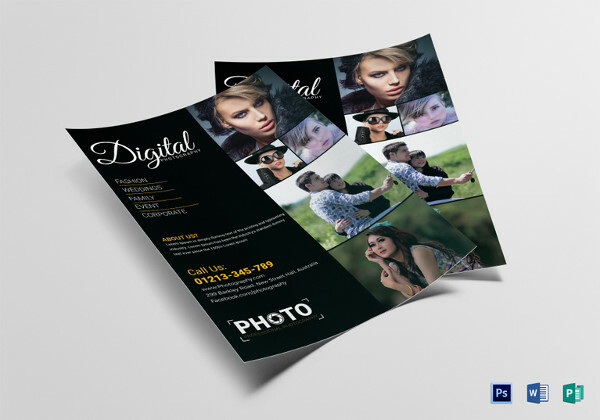 As a professional photographer, you can make use of these bi-fold flyers and use them to impress your clients. 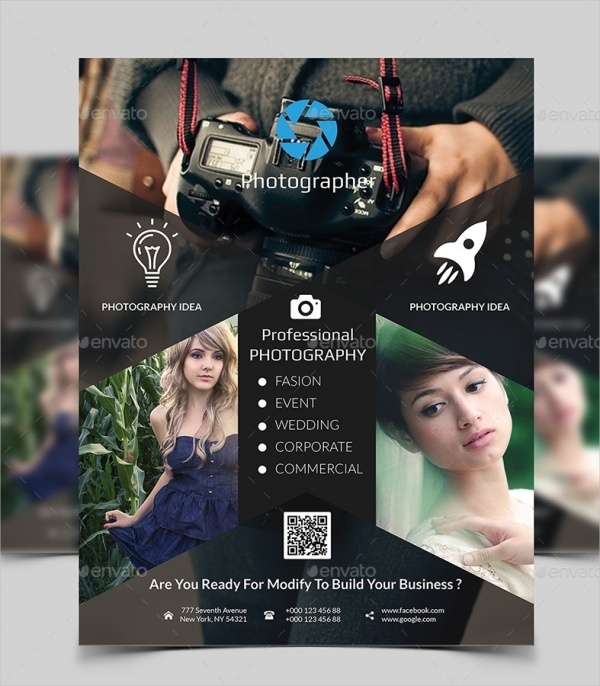 You can add more pictures and content to make the flyer more relevant to your business. 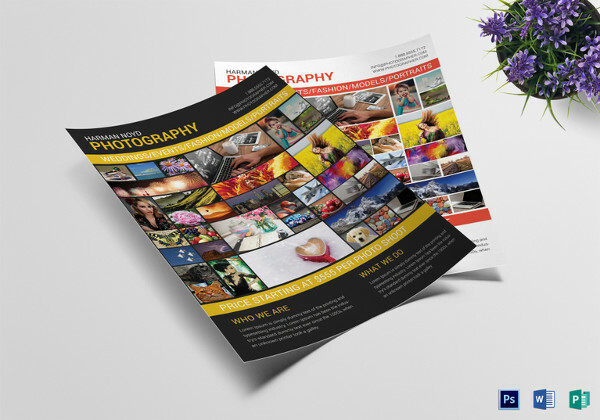 Photography flyers are a great way of marketing for both novice photographers and professionals. 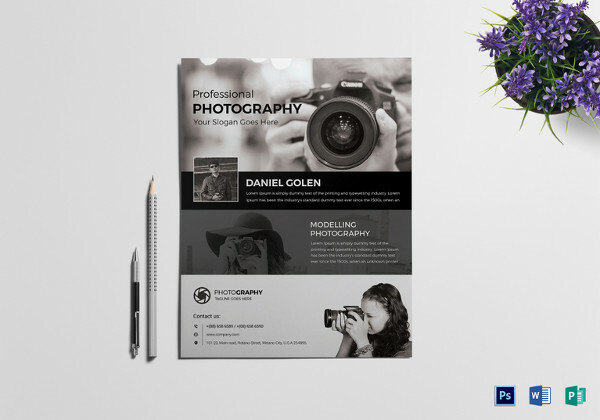 Using a flyer you can give your client a glimpse of your actual work style and make yourself appear professional. 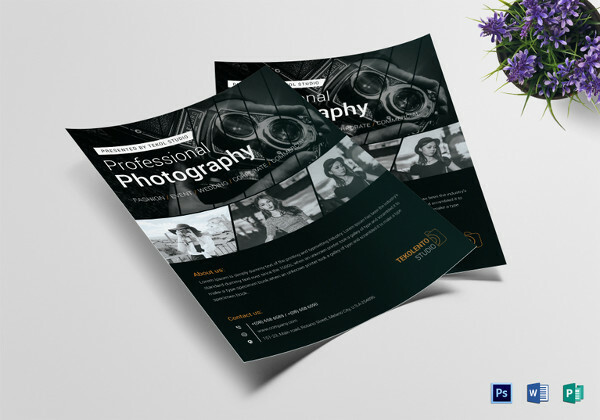 This flyer will have a portfolio of your photography style which you can use while prospecting. 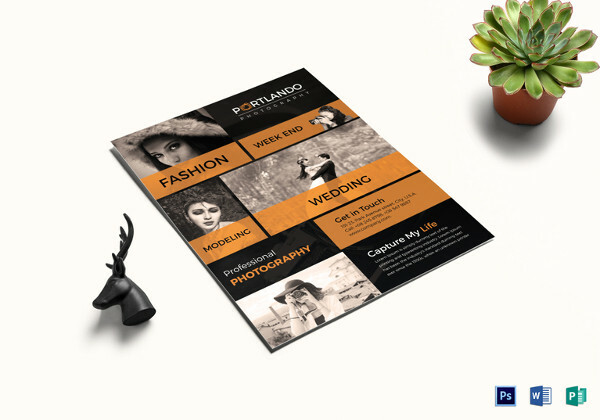 Thanks to these flyers, your business will have the online and offline traction that will garner more audience for your work.